The recreational fishing and boating community applauded the introduction of the Red Snapper Act. 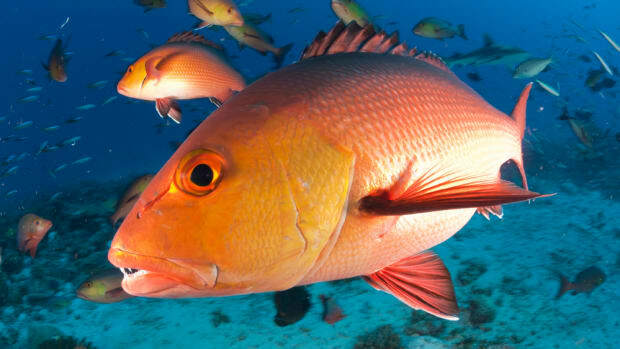 This action reverses the recent trend of shortening the federal red snapper season. Florida anglers will get an opportunity this month to enjoy an extended recreational red snapper season in state waters in the Gulf of Mexico. NOAA Fisheries extended the nine-day red snapper season for private anglers in federal waters of the Gulf of Mexico by two days. Red snapper was a topic on Capitol Hill Friday as lawmakers received testimony about the effects on small business of federal fisheries management. Representatives of the recreational fishing community recently held their second in-person meeting to plan strategies. A federal judge this week upheld a new rule allocating separate red snapper quotas for recreational anglers and licensed charter captains in the Gulf of Mexico. The recreational fishing and boating community applauded the U.S. House Resources subcommittee. An amendment that would have transferred management of Gulf of Mexico red snapper to the five Gulf states was rejected Thursday.